Today I'm back with Part 2 of the zucchini posts, so I'll pick up where I left off. On the same trip to Hawaii, I also had a moment. You might call it a lightbulb, a-ha, game changing moment, and it's all thanks to zucchini. You might think it was all thanks to kale, but it turns out that kale was hardly the most surprising part of this recipe. Also, it's safe to say that all of our bodies must be telling us something. 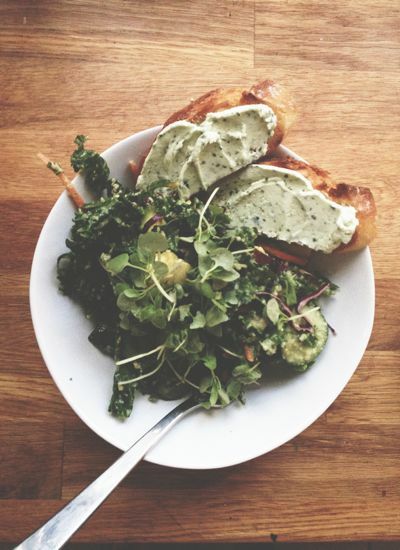 As I was working on this post, another wonderful blogger also posted her take on a creamy dressing for kale, and Twitter chronicled our cravings and adaptation ideas as well. I love being in good company this way.